Bridgestone, the world’s largest tyre and rubber company is built on a philosophy of “serving society with products of superior quality” and since its inception in 1931, has developed into one of the most innovative tyre manufacturers in the world. Bridgestone has established itself as a leading tyre provider to the transport industry, and has secured contracts with some of the UK and Ireland’s leading companies utilising a Total Tyre Care approach. Bridgestone is once again proud to sponsor the “Best Use of Technology” category, and of our long term association with Motor Transport Awards. The Cartwright Group is a leading trailer, commercial vehicle rigid body manufacturer, and specialist vehicle converter, offering the largest, most diverse and innovative range of products available in the UK market today. The business has been in operation since 1952 with a completely purpose built manufacturing facility based on a 38 acre site in the South of Manchester. The group employs over 1,000 staff. Chevron is one of the worlds’ leading integrated energy companies, marketing its lubricants in Europe under the Texaco brand. The company’s success is driven by the ingenuity and commitment of its employees and their application of the most innovative technologies in the world. The commercial vehicle market is a key focus area for Chevron Lubricants. The Texaco Delo range puts oils, drive train fluids, final drive fluids, greases and extended life coolants, all under one brand for the first time. Delo has enjoyed a rich brand heritage ever since the first products were launched over 80 years ago. The range is designed for heavy duty vehicles working in all major industries, including commercial transportation, logistics, construction, mining, agriculture and power generation. Texaco Delo products are specially formulated and rigorously tested to meet intense operational demands, for the best possible reliability and durability, delivering the high-quality lubrication from bumper to bumper that is essential to ensure smooth, reliable operation as well as component protection. Close Brothers Vehicle Hire (CBVH) is a subsidiary of a leading UK merchant banking group and specialise in providing commercial vehicle solutions. We offer a range of contract hire, fleet management, rental and leasing services for companies across the UK and have depots in Derbyshire, Essex and Yorkshire. Tailoring all our services with your business in mind, CBVH offer the latest commercial vehicles and new technologies available with an outstanding level of support 24/7. We know that keeping your business moving is the key to success, so whether you need a truck, van or specialist vehicle, we can find a vehicle to suit your company’s needs. Visit https://www.closebrothersvehiclehire.co.uk/ for more information. Fraikin is the leading contract hire, fleet management and rental company in Europe. Serving the transport industry in the UK for over 40 years, Fraikin's team of experts offer their customers the very highest levels of service across all the disciplines. Keeping ahead of technological changes within the market, Fraikin invest their time and energies to ensure they are able to give the very best independent advice. Working in partnership with an ever growing customer base, Fraikin see the challenges for the transport industry over the next few years as an opportunity to provide even more for their customers across contract hire and fleet management. 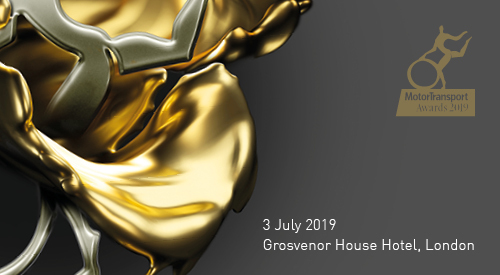 As an industry leader Fraikin UK are delighted to sponsor the Low Carbon Award 2019. Goodyear is one of the world’s largest tyre companies. Goodyear provides leading fleets with a full product range of tyres for commercial vehicles, buses and coaches supported by the service network TruckForce and technology solutions TPMS through Proactive Solutions, to provide the complete total fleet mobility package. Many of the world’s leading commercial vehicle manufacturers fit tyres from Goodyear as standard, including DAF, Iveco, MAN, Mercedes-Benz, Renault Trucks, Scania and Volvo. Goodyear also supplies tyres to all major trailer manufacturers. With its own equity TruckForce service network with ServiceLine 24h/365 days a year roadside assistance, FleetOnlineSolutions Internet management system and Goodyear Retread Technologies, Goodyear provides one of the broadest ranges of dedicated services in the industry driving down the total cost of ownership. Hankook is one of the global top 5 companies in the mass production of tyres and manufactures innovative, award winning radial tyres of proven superior quality for passenger cars, light trucks, SUVs, RVs, trucks, buses and motorsports. Hankook supplies tyres as original equipment to the world’s leading vehicle manufacturers and to replacement markets in over 180 countries. Aspiring to bring consumers technological excellence and driving satisfaction, Hankook continuously invests in research and development maintaining five R&D centres and eight production facilities around the world. Globally, Hankook employs approximately 22,000 people and sells products in over 180 countries worldwide. Harvest Energy is part of the State Oil group of companies, one of Europe’s largest independent suppliers and blenders of motor fuels with a growing presence internationally. In the UK, Harvest Energy is one of the largest independent suppliers of road fuels in order to support the needs of consumers and commercial users alike. Harvest Energy is passionate about increasing and developing its retail forecourt presence across the UK. 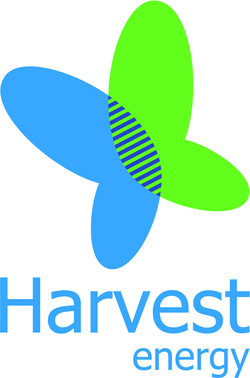 Having created a distinctive brand identity for retailers, Harvest Energy is considered as a progressive and growing fuel brand with over one hundred forecourts now proudly displaying the Harvest Brand. Harvest Energy also supplies and delivers road fuels to a wide range of commercial customers including national supermarket chains, logistics companies, bus and coach operators, utilities and local authorities. This wide spectrum of customers demonstrates a strong confidence in Harvest Energy’s ability to serve. Isuzu Truck (UK) Ltd is a wholly-owned subsidiary of Isuzu Motors Limited, providing commercial vehicles with gross vehicle weights from 3.5 tonnes up to 13.5 tonnes. ITUK has built a reputation for providing outstanding customer care and greater vehicle payloads than other manufacturers, as well as offering a market-leading, 3-year unlimited mileage warranty across its entire product range. 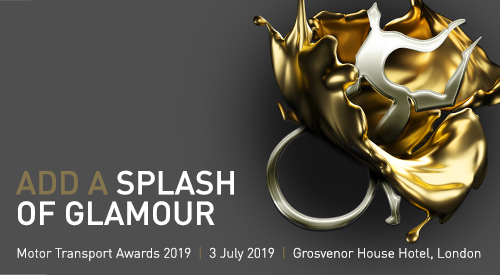 The company always puts its customers first and is proud to continue its sponsorship of the Motor Transport Customer Care Award in 2019. 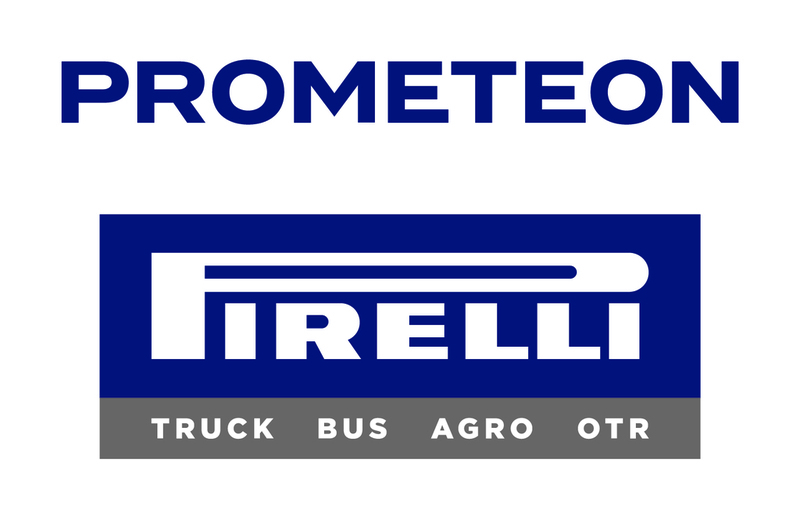 Pirelli Industrial, part of the Prometeon Tyre Group are the world’s only dedicated Tyre manufacturer to the Industrial market. We have a Pirelli heritage, and an Industrial focus that makes us unique. Our ethos and approach to market is based upon quality of product and a consultative approach to Fleet customers, identifying the real need and implementing fleet solutions in a collaborative and effective way. We supply OE manufacturers all over the globe and have also supplied some past winners in the MTA ‘Livery of the year’ category and we are once again proud to be associated. Prohire provides commercial vehicle contract hire, rental and fleet management to customers nationwide. It supports multi-location operators in sectors like food and drink, pharmaceuticals, building products, office supplies, logistics and waste management with complete transport solutions, enabling them to focus on their core business. Prohire’s expertise includes commercial vehicle sourcing, contract hire and short / long-term rental. Alongside recommending optimum vehicle specifications, Prohire offers a fleet management service including repair and maintenance, accident management, HGV and LCV fleet compliance and uptime management and reporting. Accredited with the Government-backed Customer Service Excellence standard, Prohire is known for personal, tailormade service with every package bespoke to the needs of the customer. Since 1894, Renault Trucks has supplied transport professionals the tools to conduct their business more effectively. Alongside our highly regarded heavy vehicle range, the Renault Trucks Master, from 2.8t to 6t GVW, delivers the efficiency, manoeuvrability, reliability, and safety you need. Power is from our proven 2.3 litres Euro 6 engines up to 170ps with robust 6 speed gearbox, and our award-winning full electric Z.E. versions. We offer factory-built bodies and drive-away options from our ‘Ready for Business’ range as well as a fully customised solution. Our heavy truck know-how means we operate our business around yours, with out-of-hours servicing and excellent parts availability, keeping your fleet rolling 24/7. The Road Haulage Association is the only organisation dedicated to the UK road freight sector. Its 7000+ members, between them, are responsible for the operation of tens of thousands of commercial vehicles. Benefits of membership include the Association’s exclusive Conditions of Carriage, legal and insurance services and on-line and over the phone advice and information from a network of four offices. The RHA actively campaigns for its members and the industry as a whole at local, national and international level and constantly strives to ensure that policy makers fully understand the vital role of road haulage within the UK economy. SDC Trailers is one of the leading trailer manufacturers in Europe, with a wide range of solutions for the road transport and logistics industries. The SDC range features boxvan, curtainside, skeletal, platform, urban and extended length trailers. Our philosophy is to understand our customer’s logistics requirements and then tailor a solution to meet those needs. Investing in an SDC trailer, means investing in the best technology, quality and flexibility, as well as the knowledge, expertise and understanding that comes from 40 years of experience in the haulage industry. VisionTrack offers the widest range of advanced, high-quality and reliable vehicle camera technology – underpinned by a multi-award winning IoT platform – to help protect vehicles, assets, staff and reputation. All products are compliant with FORS, CLOCS, TFL and carry FCC, CE, E-mark certifications, as well as possessing wide insurance industry approvals. As Europe’s leading provider of cloud-based video telematics, VisionTrack is continually innovating with the development of world-leading algorithms, behavioural and video analytics, machine learning and artificial intelligence (AI). Volvo Trucks lead the field in quality, safety and care for the environment with these core values underpinning everything we do. As such, Volvo is at the forefront of sustainable road transport with its range of alternatively-fuelled vehicles using electricity or LNG to minimise harmful emission levels. By providing traditional diesel-powered vehicles from 10 to 150-tonnes, Volvo has provided complete transport solutions through its 85-strong dealer network in the UK and Ireland since 1967. Volvo Trucks is part of the Volvo Group - one of the world’s leading manufacturers of trucks, buses and construction equipment, plus marine and industrial engines.